Rroman wrote: Is this text within the vima nyintik? also with in the nyingtik yabshi? Thank you to all making this happen. Hello, looking forward to attending this! I just wanted to point out that the address for First Parish in Cambridge UU given in the original post seems to be incorrect. It should actually be 1446 Massachusetts Avenue, or else 3 Church Street. Is there also going to be a facebook stream? Just asking because a few days ago there was an event with the Dalai Lama on livestream and it was not possible to watch it there, while it was working normally on facebook, apparently this happened to several people. Also, is it better to read the book beforehand, or wait to read it after the transmission? I was waiting to read it afterwards, as I have a lot of practice-related books that I need to read these days. A general question about reading transmissions. If you are getting the lung in Tibetan, should you be able to understand it more or less, e.g. by following the original text along with a translation, or is it not necessary? Aryjna wrote: Is there also going to be a facebook stream? Just asking because a few days ago there was an event with the Dalai Lama on livestream and it was not possible to watch it there, while it was working normally on facebook, apparently this happened to several people. Yes, there will be a Facebook stream as well. Just pay attention to the stream of words. Which one is better livestream or facebook stream? Which one I should use? You can try them both anyway. Ive found facebook streams to be more consistent. Just joined for the last minutes of transmission. I randomly found out about this transmission on Facebook on the Wisdom Publications page. I am grateful to those who made this happen. I don't know any of you, but it seems like quite an accomplishment. I am aware of the Zer Nga (Five Nails) and have practiced it. Q1: I am curious how the Zer Nga is related to other cycles? I know it is a preliminary for the Jang Ter. I am not a scholar (this is obvious) but it us curious to have been given it and to not be practicing Jang Ter or Gonpa Zangthal. 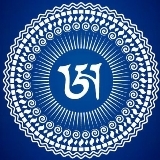 It also seems like some parts (like the mandala offering) are similar to other texts I have worked with. Q1a: Maybe the compositions were inspired by Zer Nga? Q1b: Maybe the Jang Ter is somehow related to other treasures? Q2: I am curious if the Zer Nga that was given (lung) is a particular arrangement? from the root treasure? 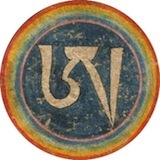 I am not a scholar (this is obvious), so I have no idea if what I practice is the Zer Nga, or some compilation, as it has many prayers at the front and end, and a guru yoga (which it shouldn't have). Hi, I just wanted to chime in too and express my gratitude to Malcolm and all the people at Wisdom for everything y'all did to make this very special offering. The lung was an especially moving experience for me. I got my book in the mail this past week. I don't know who is responsible, but I'd love to give them a big hug for it: real footnotes on the same page and not endnotes!!! Please let this become a thing in Buddhist publishing. I hate having to interrupt the flow of reading to flip x number of pages to find the "footnote"
Again, thank you to everyone who worked on this project! Guess what came in today? and what will we all do then? After reading through the book, I have one nagging question that so far nobody could really give me a clear answer for. As I understand things, when someone has realized the 4th vision then the person has achieved basis enlightenment. However, the book clearly mentions stages even for buddhas (p 207). So, my question is: What happens after basis enlightenment? A teacher once explained that it's like a pot which held onions for a long time. When you remove the onions, it cannot be more emptied of onions anymore. However, a smell remains for some time until completely dissolved. Thus, if I interpret things correctly, then after basis enlightenment, a buddha enters a process of, let's call it, path enlightenment. This is - again, according to my understanding - what the whole chapter 11 in the book is really about. The great stage of liberation is really a process of completely exhausting all remainders. Whereas from one perspective nothing can be exhausted (after all, that's the whole point of having completed the 4th vision), from another perspective there usually are remainders like the smell of onions, and not yet all dharmatas are exhausted at the beginning. It seems that only extremely few practitioners are able to complete this process fully before death. Those who don't complete before death, complete at death. Those extremely few who complete before death then, as a consequence, are able to realize the second type of the three rainbow bodies. Can anyone knowledgeable comment if this understanding is correct? Not sure where you are coming up with these terms "basis enlightenment" and "path enlightenment." The difference between buddhas of the 11th and 12th bhumi and the rest is that the former have not realized all phenomena as a display of pristine consciousness and the latter have. But in general, bhumis measure qualities rather than realizations. In particular, in this book, the 16 stages are analogues of the common paths and stages, but are not actually identical with them.